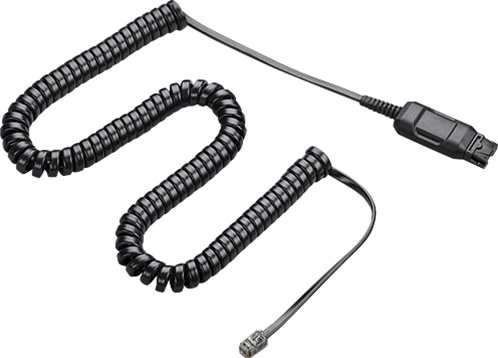 The Plantronics A10 Direct Connect cord allows you to easily connect a Plantronics H-series or P-Series headset to most headset-ready phones via the headset port. Plantronics A10 direct connect cable with the Quick Disconnect feature offers extremely clear sound quality and superior reliability for Avaya, Nortel Norstar and Meridian, Mitel, Cisco, Polycom, NEC, Aastra, and many more. The A10 Direct Connect adapter cord eliminates the need for a headset amplifier (such as the Plantronics Vista M22 or Plantronics Vistaplus AP15 and also includes Plantronics Quick Disconnect feature. Direct Connect cable for Nortel Norstar, Avaya, NEC, etc.